How do you use your centers? 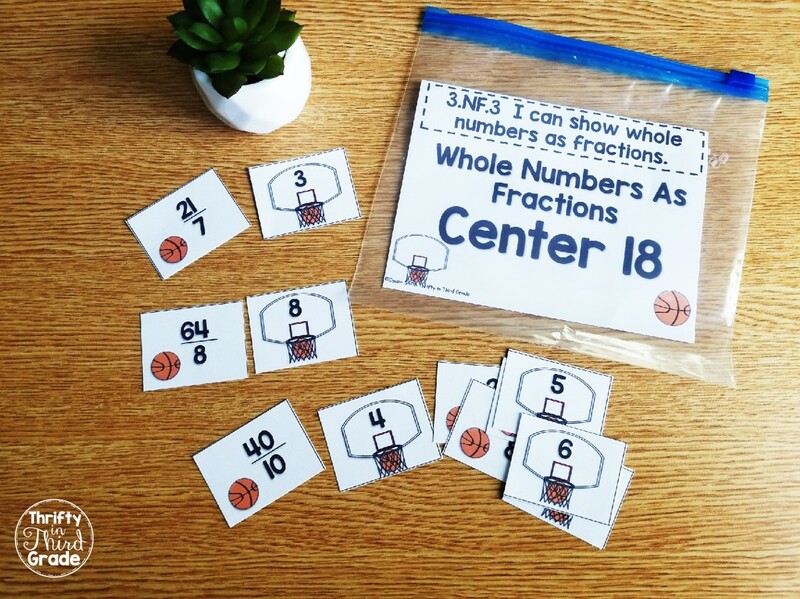 My Common Core Math Centers are super versatile and can be used in so many ways to support your instruction! 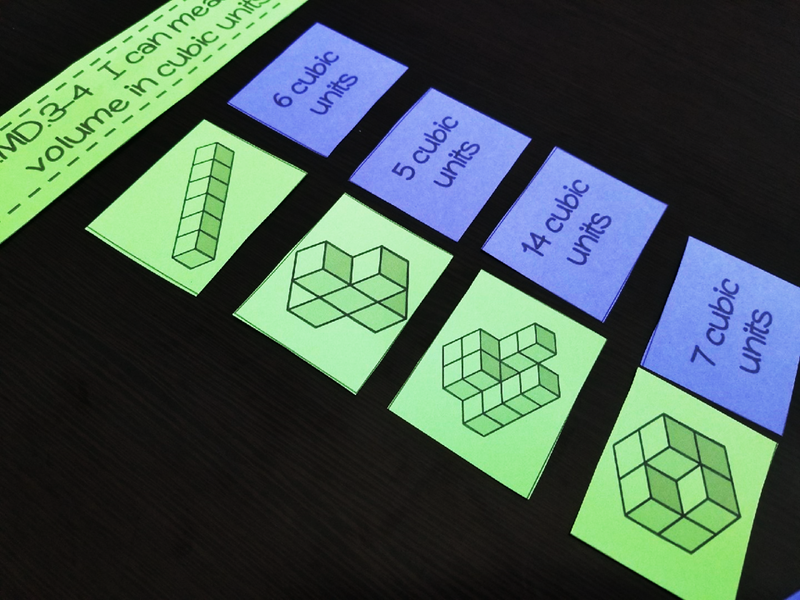 In this blog post, I will talk about the different ways I use these standards-aligned centers! I love to use them as independent practice in my students math notebooks and then add them to my center rotation when they are ready to practice and use them as games. 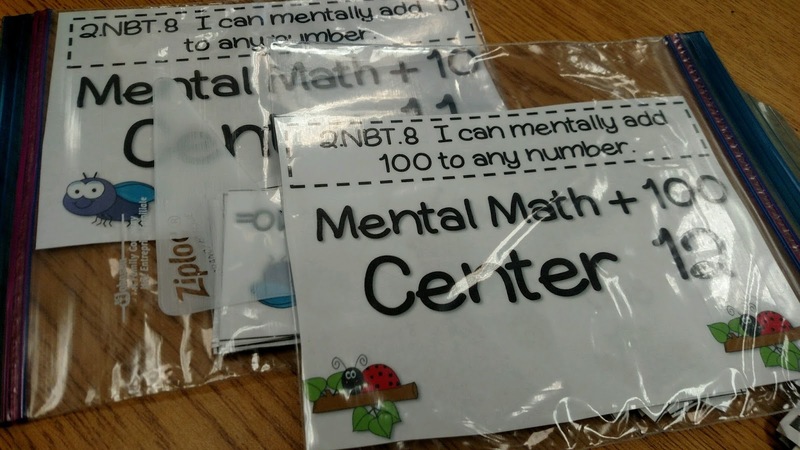 These centers cover EVERY common core math standard! AND they include I Can statements for each standard as well! This helps keep students focused on the skill they are practicing. This is a picture of one of my students using the center as independent practice in her notebook. 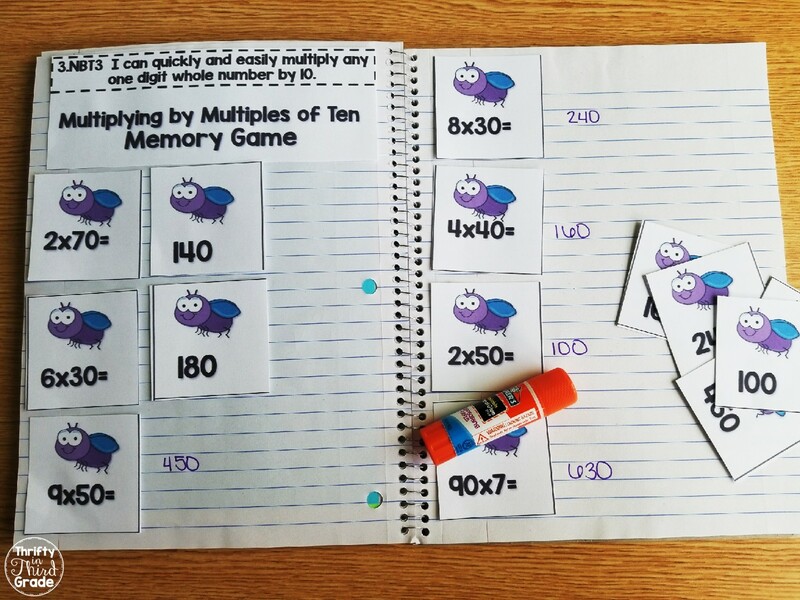 During small group math, I practiced this skill with her, then when she was ready, I mixed up the cards and she glued them down in her notebook. You can also have your class glue down just the questions and then have students write in the answers with pencil. 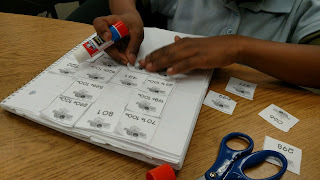 Then, after you have checked their notebook, you can give them the answer sheet to cut out and glue in their notebooks. 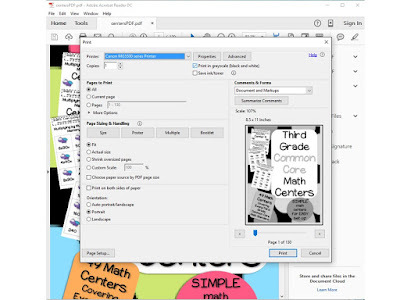 You can print the center two sheets to a page so there isn't a lot of paper waste during the cut and paste part of the lesson. 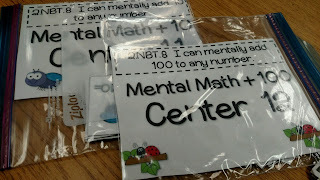 Once my class was more comfortable with the skill, I put the laminated centers in bags and added them to my rotations. My favorite thing about these centers are that the standards and the I Can statement are right there on the cover. That way, students (and administrators--or anyone who walks in) know what skills they are working on. Students can play the centers as just simple matching. I have also seen students play the center with a partner where one partner has questions, and the other partner has answers. They work together to figure out how to match the pieces. 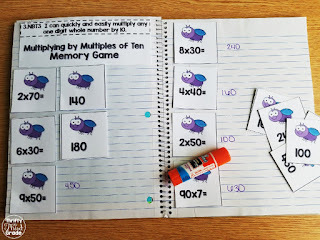 Or students can make it into a memory game by flipping the cards over. 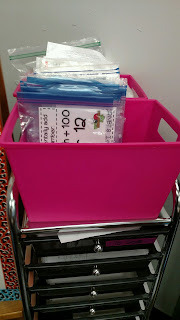 I store most of the centers in quart sized bags and keep them in a tub. 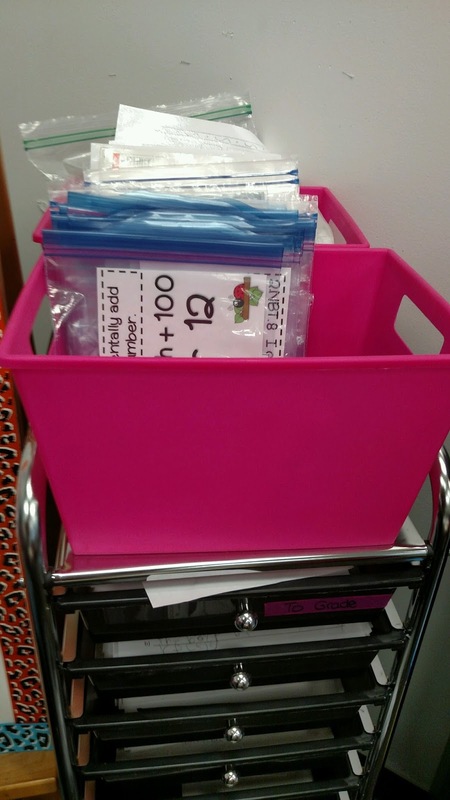 As we learn more and more standards, I add them to the tub. During small group rotations, students practice the various skills they have learned this year. 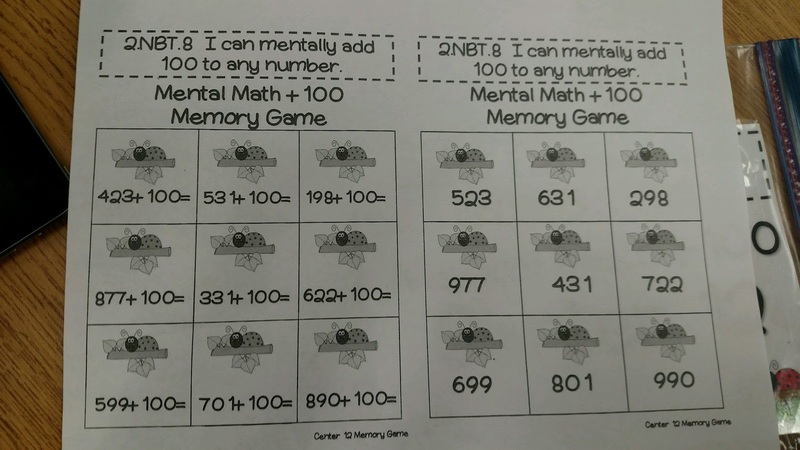 It's a great way to keep the standards fresh in their minds all year. 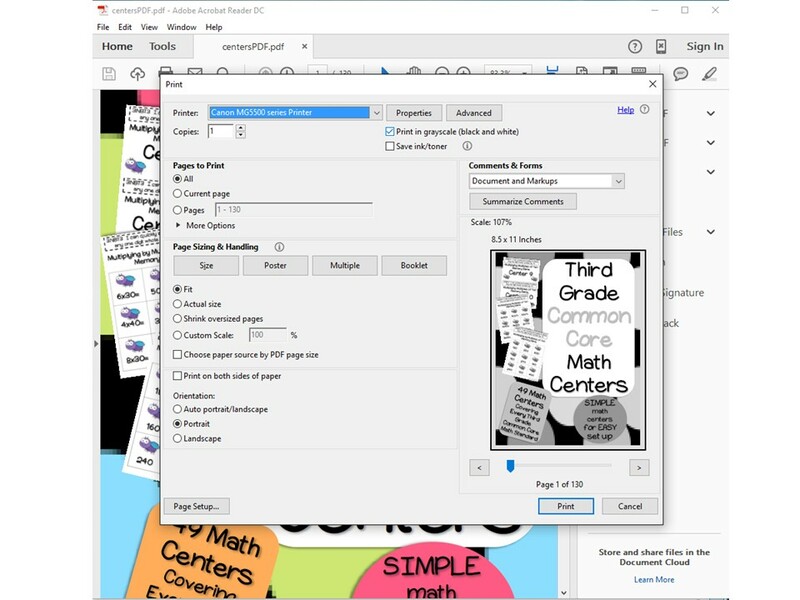 If you don't want to print in color, just select "Print in grayscale" in your print options. 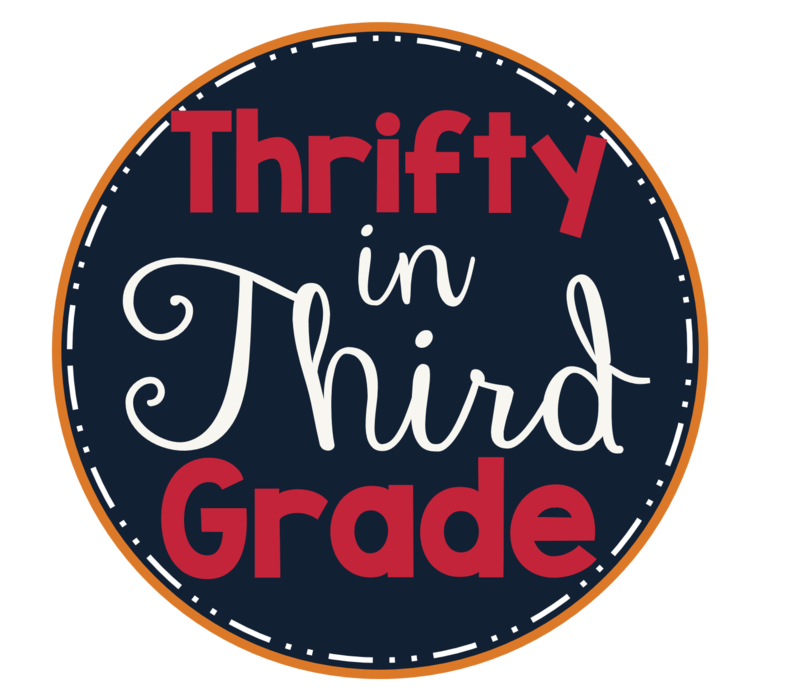 Remember, these are available for first-fifth grades! 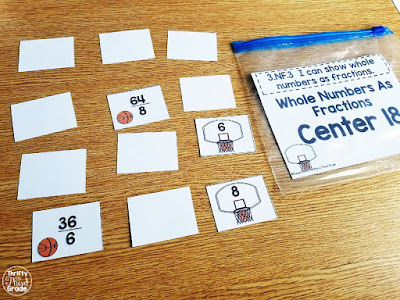 Here's a sampling of what types of centers are included! Don't forget to pin so you can find them later!